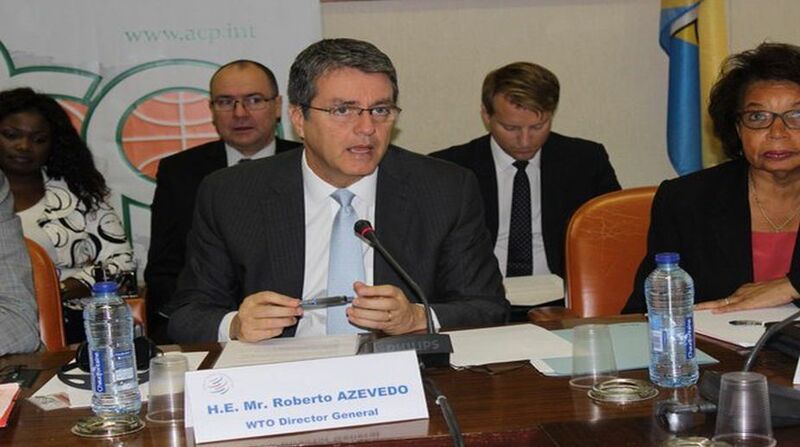 Recently, WTO’s Director General, Roberto Ezvedo, visited India. During one of his meetings with some experts and organizations associated with trade and commerce, he was asked about the WTO’s future, after Trump’s taking over as US President and how he would deal with his ( Trump’s) disenchanting free trade system? 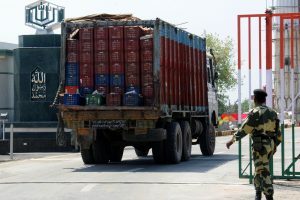 His quick response was that if a member nation violates WTO rules, the affected members could make a complaint against the delinquent and on this basis action could be taken under the WTO dispute settlement provisions. The WTO itself cannot take suo moto action. After the WTO came into existence in 1995, world trade began to be operated under its rule-based system. Tariffs started decreasing and nontariff barriers began to move away. But the effect was not the same on all countries. Although the reduction of import duties and removal of obstacles had increased trade of all countries, the trade balances of most countries had worsened. Although American industries faced the heat, business of big American corporations continued to grow throughout the world due to the US’s diplomatic influence and economic power. The revenue of the American government was also growing due to this reason, as these corporations were contributing hugely to the public exchequer. The new patent system also benefitted American companies. So, the United States was the main beneficiary of globalisation and WTO. The US dollar also strengthened vis-a-vis other currencies. However, this honeymoon with globalisation did not last long in the developed world; America and other developed countries started getting disillusioned with globalisation. The participation of these countries in WTO meetings started diminishing and these meetings were also slowly reduced to rituals. After the economic recession since 2007-08, the USA and other developed nations apparently started adopting a conservationist approach. Last year, in the UK, a referendum took place and Britons decided to part with the European Union (EU). In the meanwhile, Donald Trump started gaining popularity in the United States and was then elected as president of USA. These changes reflected changed attitude of developed countries towards globalisation. Now, whereas Britain is moving towards bilateral agreements after its imminent exit from EU and the US is attempting to impose heavy duty on imports from China. All these developments depict dumping of WTO by the same set of countries that were its fierce supporters. With America separating itself from the Trans-Pacific Partnership (TPP) and adopting a protectionist approach, it seems the WTO is taking a back seat now. In such a case, when the country that advocated for free trade and multilateral trade agreements the most is withdrawing itself, naturally a debate about the new trade system has sprung up. First, after the WTO came into existence, the alternative trade system ceased to exist and the biggest change came when China also subscribed to the WTO. Earlier European integration also contributed to strengthening of the WTO. Supporters argue that due to the abandonment of TPP by the US and the absence of any alternative trade system after Brexit, European nations will have to accept the WTO as a readymade forum for trade agreements. In such a situation, WTO will become important again, because this is the only forum for trade negotiations. The second argument of WTO supporters is that while the United States under Trump’s leadership has decided to impose tariff and nontariff barriers on imports from different countries, the affected member nations of the WTO would complain against US only at WTO forum. And WTO can only effectively curb the protectionist attitude of the US. Therefore, WTO will gain prominence once again and emerge as a more robust institution directing world trade. Their third argument is that although it is true that regional trade agreements will move forward in Asia and other areas in the near future, this requires a new leadership at the global level. Since there is no such leadership in the world today, nations will again have to turn towards WTO. These supporters of the WTO say that many countries including India, South Africa, Brazil, China, Australia and Indonesia will come to the rescue of the WTO, because their interests coincide with free trade as nurtured by multilateral agreements. We have to understand that due to the unemployment, poverty and inequalities in United States, Britain and other parts of the globe (generated by trade-led globalisation), people’s sentiments are getting reflected in an upsurge against globalization. In France too, similar feelings are being revealed. Not only the people, the governments have also started realising that due to free trade, there is not only an imbalance in foreign trade, but industries are shutting down and employment opportunities are eroding due to heavy imports in the name of making available cheap products from China and other countries. Rise of poverty and unemployment is the natural outcome. Therefore, protection of industries by way of import restrictions is important. Though, supporters of globalisation look upon protectionism with contempt, there is no better way to save employment and industry than protectionism.